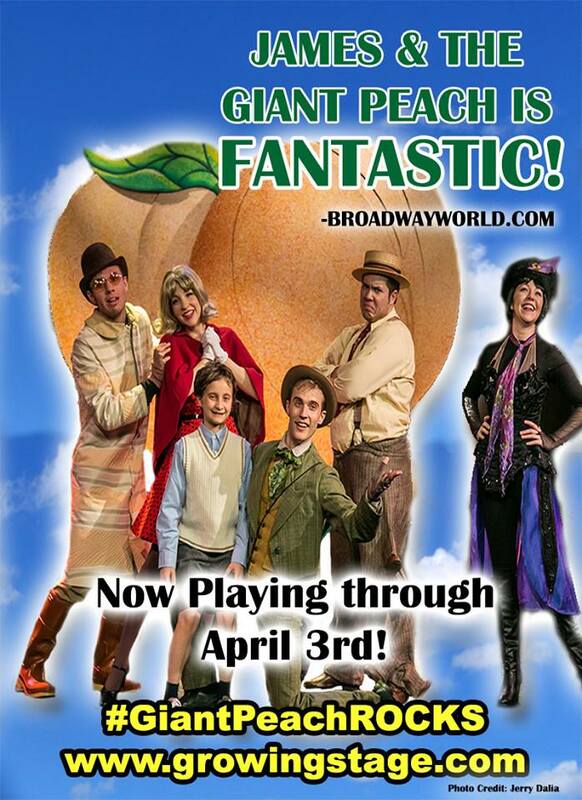 One of the theater treasures in New Jersey is The Growing Stage-The Children’s Theatre of New Jersey. The GS is a non-profit professional performing arts center dedicated to theatre for young audiences. A member theatre of the Association of Actor’s Equity it provides opportunity for all to learn and grow through participation in the arts. The Growing Stage was founded by Executive Director Stephen L. Fredericks (photo with wife Lori) in 1982 with a small professional staff, a dedicated corps of volunteers and a dream to bring quality professional theatre to children and their families. Initially, Main Stage productions were performed at the Black River Playhouse and the Williamson School in Chester, New Jersey. As their audience and reputation for outstanding children’s theatre grew, the company embarked on a journey to create the only performing arts center in the state dedicated solely to young people and their families. The Growing Stage purchased the Palace Theatre in Netcong in 1995, and this historic venue has become our home. Built in 1919, the Palace was in a desperate state of disrepair when we moved in, and its restoration, involving thousands of hours of contractor and volunteer labor, has become an integral part of the GS history. In 2012, GS celebrated the completion of the final major capital project, the restoration of the Palace’s front façade, capping a $2 million, 17-year renovation effort. The Growing Stage is the only theatre-for-young-audiences company in the state of New Jersey that owns its own facility, and the Palace is listed on the County, State and National Historic Registers. Today, The Growing Stage enjoys a statewide reputation for creating professional, quality theatre for young audiences. Since its inception, over 500,000 patrons have shared in the wonder of the performing arts both at the Palace Theatre and through workshops, residencies and programs throughout the state. All Friday tickets are $15 and Saturday and Sunday tickets are $25 for adults, $20 for seniors and $15 for children. To purchase tickets, please visit www.growingstage.com or call the Box Office at (973) 347-4946.